This was an absolute impromptu recipe. I have a really bad habit of thinking up Sassy Hour recipes and then stopping by the liquor store on a whim to buy the ingredients. Then my mind goes elsewhere, and I end up making a completely different recipe than the one I originally intended, using booze other than the one I just freshly purchased. That’s why I have a bottle of blackberry brandy just begging to be used. 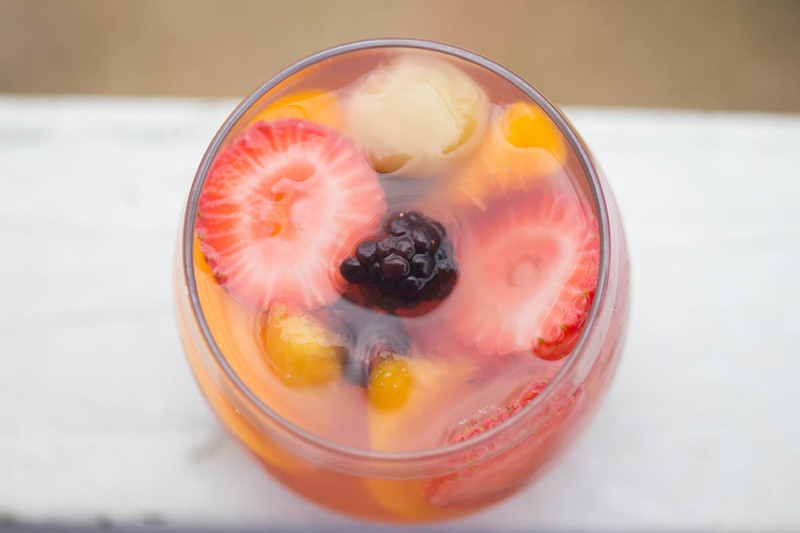 The amount of liquor in our pantry is absurd so for the 4th of July I wanted to make a white wine sangria that incorporated a good bit of the hooch I had on hand so I could get rid of some of it. I never once planned to post the recipe…until it ended up being so incredible I just had to share it with y’all! Our entire family just raved about how great this blackberry lemonade sangria ended up being, but when I first made it I was concerned it was going to be a little too strong for anyone to drink! Uuuum…the pitcher was halfway gone before we even served lunch! By the end of the day, there was nothing but fruit left in the jar, and I randomly saw people stopping by and frowning when they realized it was all gone. I’d also be willing to bet one of Will’s cousins took some to-go since she wasn’t able to partake in any that day since she had a long drive ahead of her later that afternoon. 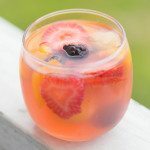 Blackberry Lemonade White Wine Sangria: Looking for an awesome party cocktail that is super light yet packs a punch? Look no further! This Blackberry Lemonade Sangria is loaded with quality booze, fresh fruit, and crisp white wine and can be ready in 10 minutes or less! 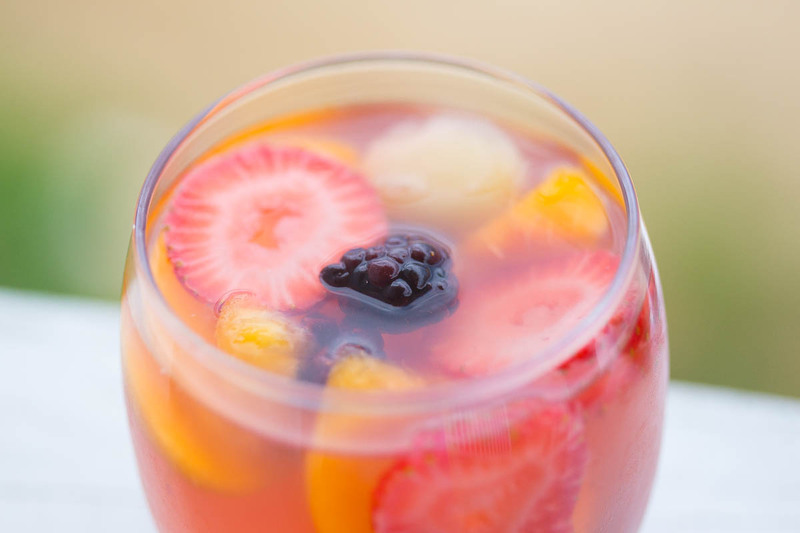 Add all ingredients, except fresh fruit, to a large punch bowl or drink dispenser and stir until well combined. Add fresh fruit and chill until ready to serve. 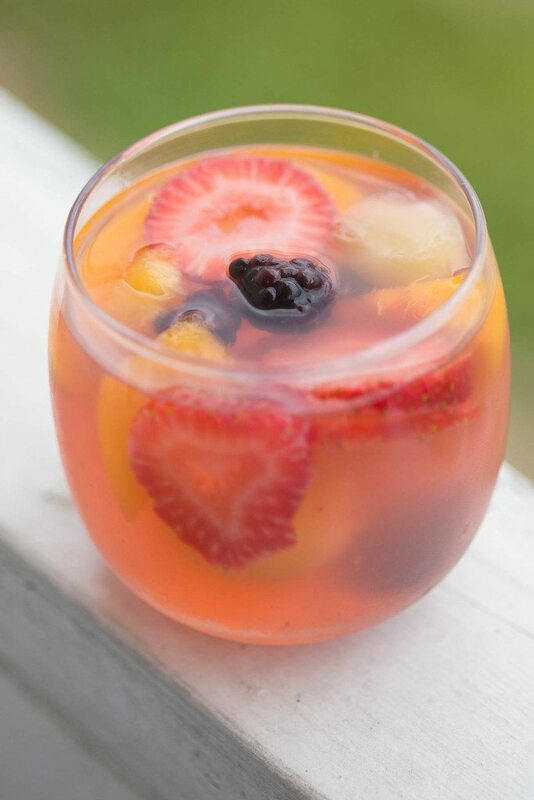 Serve over ice with some of the fresh fruit scooped from the pitcher. Add water and sugar to a small saucepan and bring to a boil over medium-high heat. Remove from the heat and stir until the sugar completely dissolves. Cool slightly before adding to sangria.